Busy in the studio, busy in the yard, busy in life......sounds like SUMMER!!! Enjoyed a fantastic 3+ weeks in Italy and France to celebrate my birthday in April. It was a fantastic trip. It has spurred me on to attempt learning Italian. "La donna mangia la mela".....if we are in need of apples I have us covered. It was interesting to do a return trip after a month there 2 years ago. We were more comfortable with the trains, ordering food, etc. We saw a whole different side of Florence and that was FANTASTIC! Milan and Sienna did not disappoint either. And Lake Como...oh my, one of the most scenic paces on earth. Back in the studio gearing up for a few shows. Life is GRAND! WONDER land because we, here in Minnesota are wondering if winter is ever going to end. Lovely 7" snowfall here earlier this week. I am enjoying the winter but have to admit it may because I do not do snow removal. People I know who have been shoveling for the past 4 months are very ready for it to end. I did see 50 in the offing on the weather app......I did, however also see a SNOWFLAKE emoji in the same week. Mother Nature does have a sense of humor!! HOUSE of CARDS...Acrylic on Canvas 42" x 58"
Have you ever GOOGLED yourself? I was recently tracked down by someone Googling me. It caused me to take pause and see what one finds when when they Google my name. FB page, ETSY, and a few newspaper articles covering past exhibitions, etc, etc. I found this article from an exhibition of my work on display at a hospital a few years ago. It gives the reader a little history of me. Thought I would share with you. ......Such wavy lines....Probably sketched in a moving car or on the train......LOL.......Wherever, whenever the ideas flow it's nice to have a trusty sketchbook handy! I have had many sketchbooks come and go in my lifetime. One that really stands out in my mind is a little one I picked up at the Uffizi Gallery gift shop in Florence Italy. We had just toured the gallery. We arrived early and once it opened we raced to the Botticelli room to view "Birth of Venus". I loved the painting, but the one that really struck a heart chord was "Springtime". So ethereal, such a masterpiece in paint. Then I saw the little sketchbook with the image on the cover......Nothing fancy, less than 10 Euro, just a nice little souvenir of the day. It became a favorite and was filled quite a while ago. I've gone through a "Moleskine" and am now working on a little one I got at the Georgia o'Keefe Museum in Santa Fe. The small size is pretty wonderful, easy to tuck in a pocket, a purse, etc. Fun to look at a sketch and see how it compares to a finished piece. MUCH easier to engineer and erase a pencil line than tear apart a piece of soldered metal. Sometimes I freehand it, just start playing with wire or a piece of sheet metal and see where it takes me, but more times than not I am planning out, mapping the next move on paper. Nice to have a book of ideas to explore. Sketching.....a Very valuable tool. 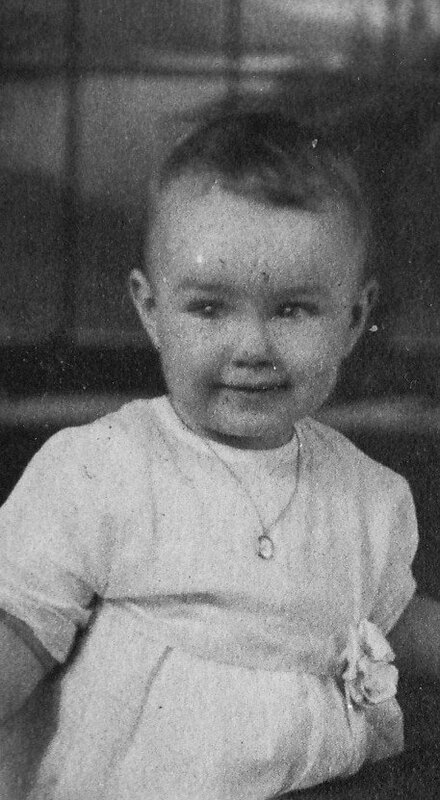 .......My mother at one year old wearing her baby necklace. My grandfather was blessed with 2 daughters. One of his favorite places to shop for the women in his life was the local jewelry store....Got to LOVE a man like that! He purchased the baby necklace my mother wears in this photo. When it came time for my mother to marry, she decided that her "something old" would be that very special gift, her baby necklace. Rather than wearing it as a necklace, she wrapped the delicate chain around her wrist and wore it as a bracelet. She offered it to me when I was to be married. I excitedly accepted. I had the chain enlarged and wore it as a necklace. Flash forward about 20 years and I offered the same opportunity to my beautiful niece Laura. She chose to have the florist secure the chain in the ribbon on her bouquet. She now has the necklace, a keepsake that will be offered to future generations in my family. What a wonderful gift for a shower, a birth, baptism, first communion or my favorite...."just because". .........The little pieces of the past that mean so very much to us and connect us with generations that have come before us. Today I ship what I hope may become the beginning of such a tradition, a tiny, 1/2" diameter cloisonné necklace for a special someone. Welcome to the world Vivie! Cloisonne' Enamel...What the heck is it?!? ...A myriad of colors to choose from in enamel. Prep work; Sketches have been done, A design decided upon, Fine Silver [.999] has been flashed [heated close to melting point to achieve high silver sparkle that will shine through layers of enamel]. Silver is domed. A thin coat of clear enamel is applied to front and back side of piece. NOW fine silver[.999] wires are carefully placed to form design and channels to hold enamel in place. Counter enamel is put on backside of piece. This balances out tension of enamel, keeping the piece from fracturing. All wires are set into place and piece is fired in kiln [1450F] to adhere them to the thin coat of enamel on surface. 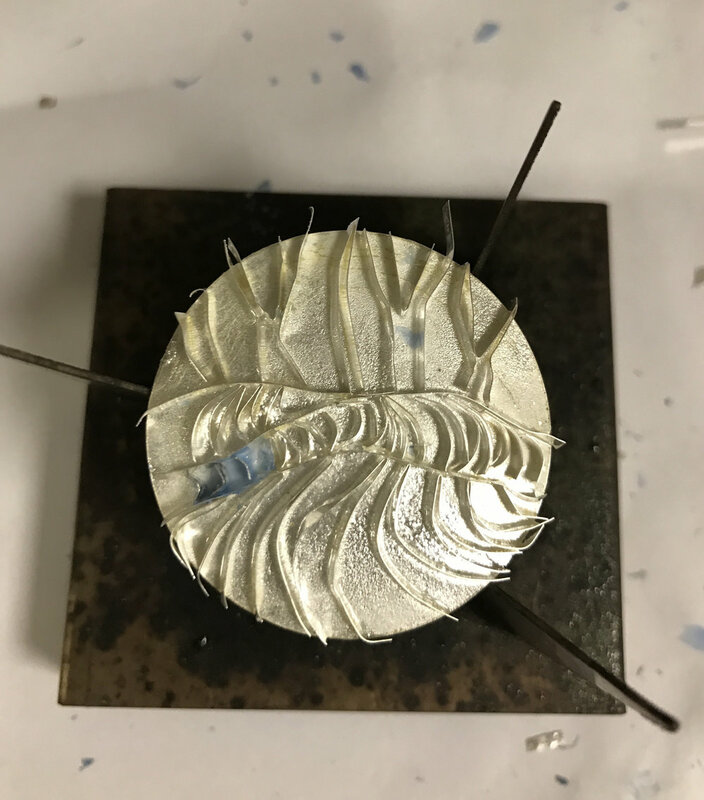 ...All wires in place on top of layer of clear enamel, ready for the first firing to adhere wires to enamel and surface of fine silver. ........Red hot [1450F] piece of work being removed from kiln. It's allowed to cool then successive layers of color are applied. ........Thin layers of enamel are carefully brushed into place. Enamel is carefully dried then fired after every application. .....more layers added and fired. ...Inside the kiln. Some colors mature at lower or higher temperatures. Work must be fired on a stilt to make sure the glass surface does not stick to anything when the enamel melts. It is fired to a desirable 1450 degrees F.
Layers of colored enamel are applied until enamel is close to the top of the wires. Once all color is in place, thin coats of transparent enamel are layered over surface. 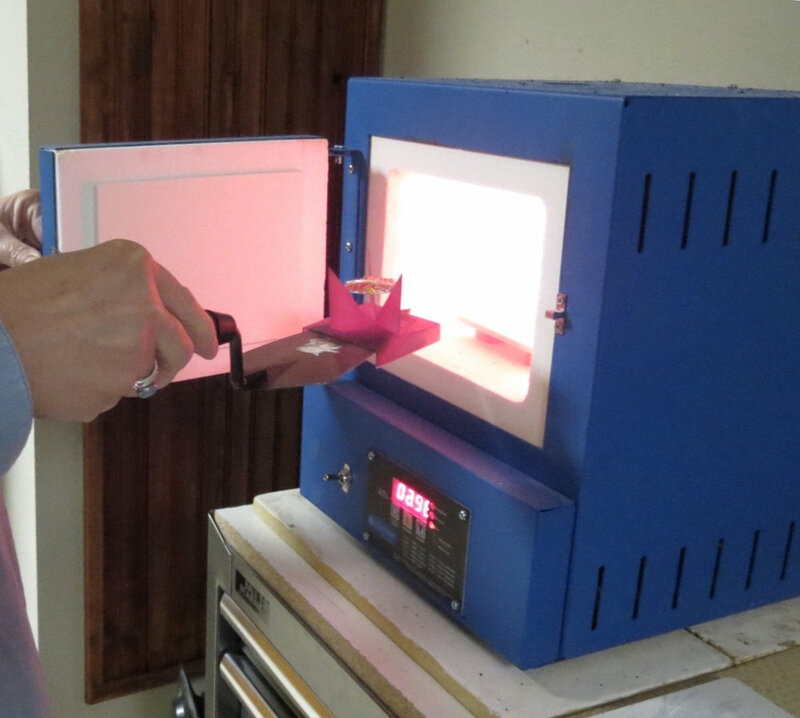 A piece may be fired up to 20 times to achieve color and layering desired for completed piece. THEN sanding of the surface begins. Alundum stones and water are used, sanding with finer and finer grit until the surface is smooth and even. ...an Alendum stone. Next I will sand with wet-n-dry sandpaper, starting with a 400 grit and successively finer papers. Once the sanding is complete, the piece is washed to remove any fine residue then fired again to “Fire Polish” the surface, leaving it smooth and glossy. 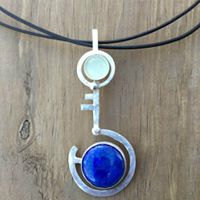 The piece is then fitted for a handmade Sterling Silver setting and followed through to completion. When my local art center offered a free seminar for affiliates to create a webpage using Squarespace I jumped at the opportunity. Hoping it will be the perfect fit and make all my gallery/marketing/blogging dreams come true!